Large quantities of Used Golf Carts Available. Are you looking for a reliable used golf cart? Stonebridge is a public golf course with a sizable inventory of electric golf carts and gas golf carts. 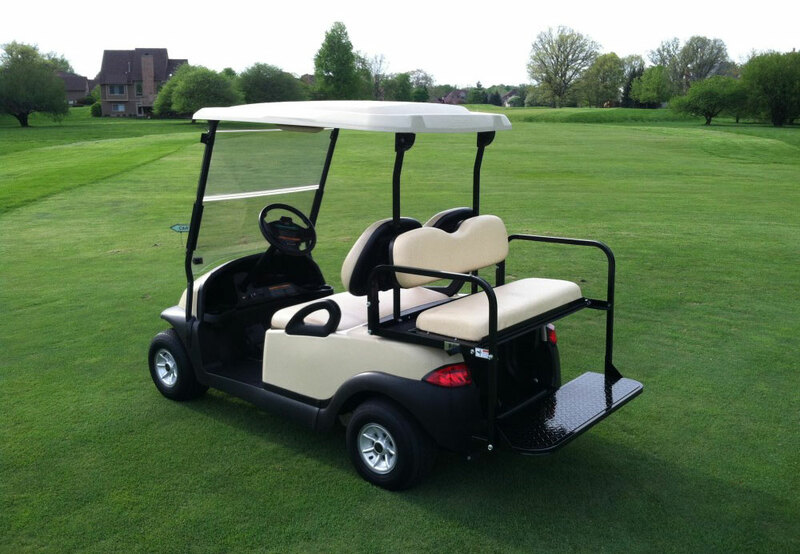 Both EZ Go golf carts and Club Car golf carts can be purchased with a variety of enhancements including rear facing seats, golf cart light package and cargo utility beds. We are conveniently located in Ann Arbor just minutes from University of Michigan campus, 20 minutes west of the Detroit Airport and 5 minutes South of the I-94 and State street exit.